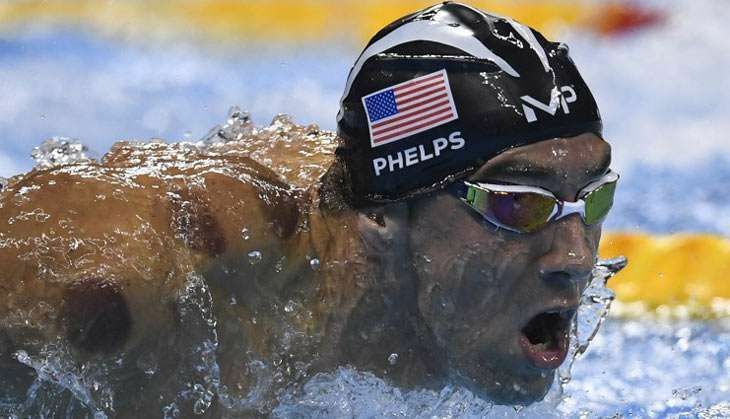 Michael Phelps became the first swimmer ever to win four consecutive golds after winning his fourth gold in 200m individual medley Olympic title. Simultaneously, he also became the third Olympian to win gold in the same event at four Olympics - joining discus thrower Al Oerter and Carl Lewis. Phelps stopped the clock to win by closing the final lap with freestyle in 1 minute, 54.66 seconds. missing Ryan Lochte's world record of 1minute, 54.00 seconds. "Things starting hitting me this morning. I thought, 'Wow, I only have to put a racing suit on two more times after tonight and I only have to warm down one more time after tonight," Phelps told USA Swimming. "Those little tiny things I've been saying to Bob (Bowman) every day. It's like wow, tonight's my last 200 ever. That's a very exciting one." Phelps grabbed his 15th individual Olympic gold, breaking his tie with Soviet gymnast Larisa Latynina for the record. "I felt good right before that race and during that race, I don't know, something happened and it just wasn't there," Lochte said to media. "I gave it my all and I guess it just wasn't that good." Interestingly, Phelps raced in the semifinal of the 100m butterfly about 30 minutes after exiting the pool from the 200m individual medley.